When we think of traditional St. Cloud real estate sales scenarios, most of us would initially picture the photos that dominate the MLS listing and the information we read onscreen. Then, if those impressions were positive, the next step would be seeing how well the property presents itself as a prospective buyer approaches (the renowned “curb appeal”). Notice that every impression up until the next step, positive or negative, had been exclusively visual. In fact, I think most of us think of real estate sales scenarios in exclusively visual terms. That’s not wrong—the majority of what impresses prospective buyers comes to them through their eyes. But, whoa! Seeing is important (in fact, “seeing is believing”) but sight is only one of the five senses. St. 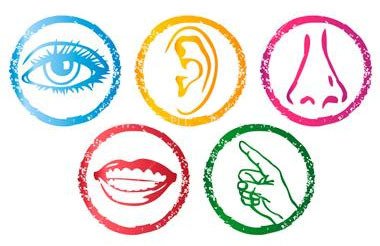 Cloud homeowners who are preparing their homes for market can also benefit from thinking about using the other four senses to make a winning impression. It may sound like an unusual way to look at St. Cloud real estate selling, but when you think about it, a useful one! SOUND: when your visitors open the front door, if it squeaks, the quality message is less than satisfactory. Likewise for stair railings that creak, air conditioners that squeal, or windows that rattle in the wind. On the more positive side, when a musical background is present (but not too loud), it can supply a pleasant aura for a showing or open house. SMELL: kitty boxes—well, you know! Bathrooms, bedrooms, and other living areas benefit from the kind of quality scent enhancement that can be provided by candles or aroma dispensers. And floral bouquets add more than just visual appeal. TOUCH: back at the beginning, if the prospective buyer opens a front door handle that feels loose and flimsy, that’s a first impression that sends the wrong message. Likewise, if the door feels lightweight, it communicates an entirely different feel than one that’s heavy and substantial. That’s why consumeraffairs.com rates front door replacement among the top two tweaks for ROI (Return on Investment) for sellers. Any feature that would-be buyers might touch—from sticky light switches to obstinate sliding doors—are also worth fixing before visitors arrive. TASTE: this sense is by far the least relevant. But I’ve seen tired prospects whose energy perks up considerably at the sight of a welcoming plate of freshly baked chocolate chip cookies! When you are selling your St. Cloud home, it’s not a bad idea to be keenly aware that your home’s next owners will be using all their senses when they visit—even if they aren’t really aware of that. Another sensible idea: for any and all St. Cloud real estate sales matters, do give me a call!